Deciding if it’s the right time to euthanize your pet is one of the most difficult decisions a pet owner will have to make. 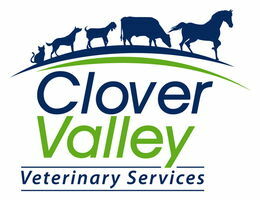 The professional and compassionate team at Clover Valley is here to guide you through this challenging time, and help you say goodbye to your pet in a loving and dignified manner. All of our staff members are trained to provide a calm and gentle transition for your pet. End of life services can be performed in the privacy of your own home with your family and loved ones present. To alleviate any pain or anxiety before the procedure, we offer medications and aromatherapies to help your pet relax. We understand that your pet is a special part of your family, and we take special care to respect you and your family’s wishes for your beloved companion. We will easily accommodate any special requests, and are also able to coordinate crematory services and transportation of your pet’s remains. We offer this service in home only.